Cylburn Arboretum (207 acres) is a city park with arboretum and gardens, located at 4915 Greenspring Avenue, Baltimore, Maryland. It is open daily - excluding Mondays-without charge. The arboretum began as the private estate of businessman Jesse Tyson, who started construction of Cylburn Mansion in 1863. The house, designed by Baltimore City Hall architect George Aloysius Frederick, was eventually completed in 1888 and remains intact, a stone structure built of gneiss from Tyson's quarries at Bare Hills, with mansard roof, tower, and an Italianate cupola. It became the Cylburn Wildflower Preserve and Garden Center in 1954 and, in 1982, was renamed the Cylburn Arboretum Association. The Cylburn Mansion houses a display of watercolor paintings of Maryland wildflowers that is open to the public. Today the arboretum contains an extensive collection of trees and woody shrubs based loosely on the Tysons' original plantings. Collections include azaleas, bamboo, beeches, boxwoods, chestnuts, conifers, hollies, Japanese maples, magnolias, maples, Maryland oaks, and viburnum. The arboretum also includes a number of flower and vegetable gardens, as well as greenhouses designed and built in the 1960s by Lord & Burnham. The greenhouses grow plants for the city's parks, and are not open to the general public. The Cylburn Nature Museum, located in the garage of the Carriage House, displays natural history exhibits of Maryland birds, bird eggs from the late 19th century, butterflies and moths, rocks and minerals, fossils and seashells, games, and habitat dioramas. Many items are available to touch. The Cylburn Nature Museum is open on Saturdays from 12pm – 3pm and on Sundays from 1pm – 4pm. 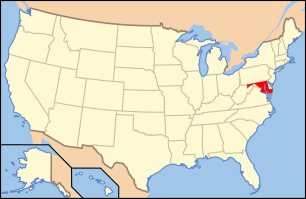 The arboretum is included in the Baltimore National Heritage Area. ↑ Mrs. Preston Parish (December 1971). "National Register of Historic Places Registration: Cylburn House and Park District" (PDF). Maryland Historical Trust. Retrieved 2016-03-01. 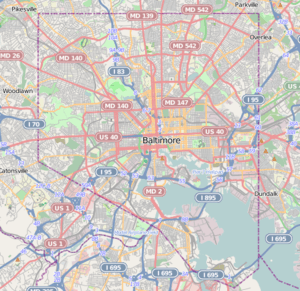 ↑ "Baltimore National Heritage Area Map" (PDF). City of Baltimore. Retrieved March 11, 2012.